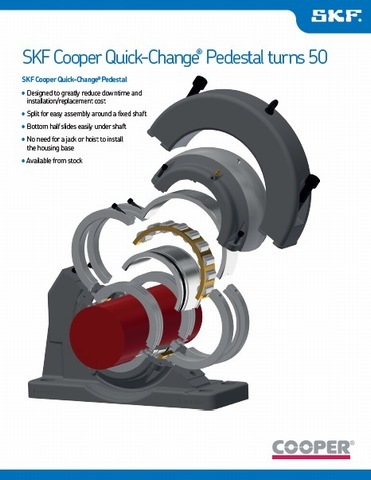 SKF Cooper is the world’s leading supplier of Split Roller Bearings with a strong brand identity which is global in reach and representation. Here at SKF Cooper you are more than your job title, you are part of a successful, purpose-led business which is innovative, empowered and dedicated to adding value to customers, employees and communities. Offering competitive rewards and a great working environment, we want to help you achieve your best by providing opportunities to develop and grow your potential. With so many varied roles working together, there is no telling just how far a career at SKF Cooper could take you.